Races are won and lost on pit road. The best pit crew helps a driver to victory lane. Pit road is one of the most dangerous places in sports. Cars are driving around, the risk of fire is high, and drivers occasionally hit their crew members by accident. As such, safety on pit road should be top priority. wear full-face helmets. While most crew members were already wearing them, some crew members were still wearing bicycle style helmets. 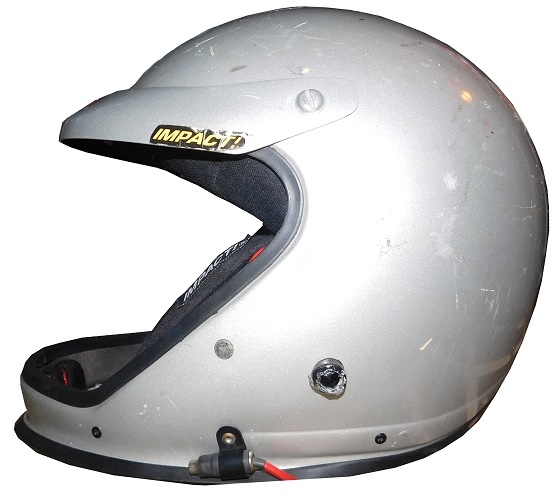 Impact is a major supplier of helmets for pit crews. 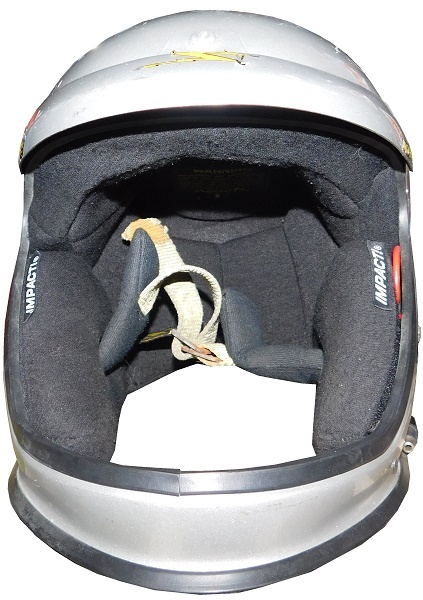 This is an example of a pit crew helmet used by NASCAR. The helmet shows a lot of use, with scratches and chips. The left side shows a lot of scratches and scuffs. 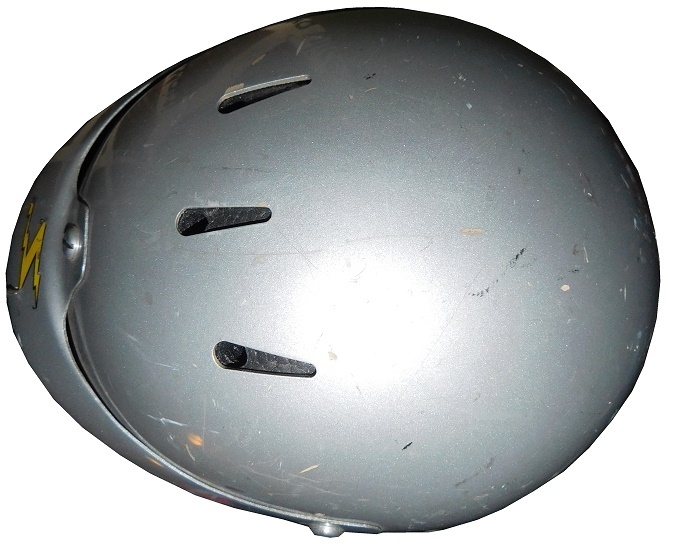 The front opening is very wide, and there is no visor present. There are some scratches above and below the face opening. The right side shows a lot of scratches and scuffs. The back shows a lot of wear, in the form of scratches and scuff marks. 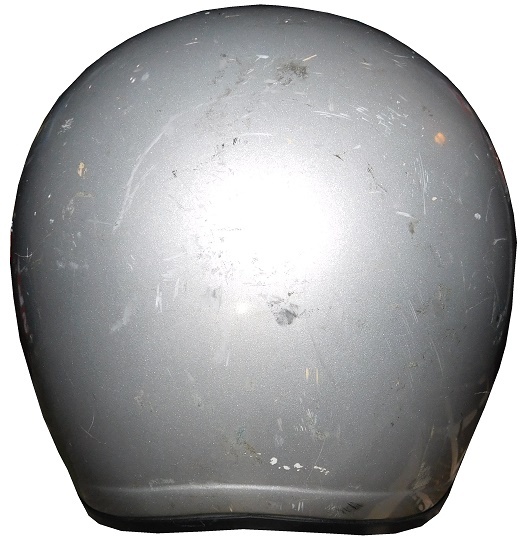 The top of the helmet has numerous scratches, scuff marks and chips. 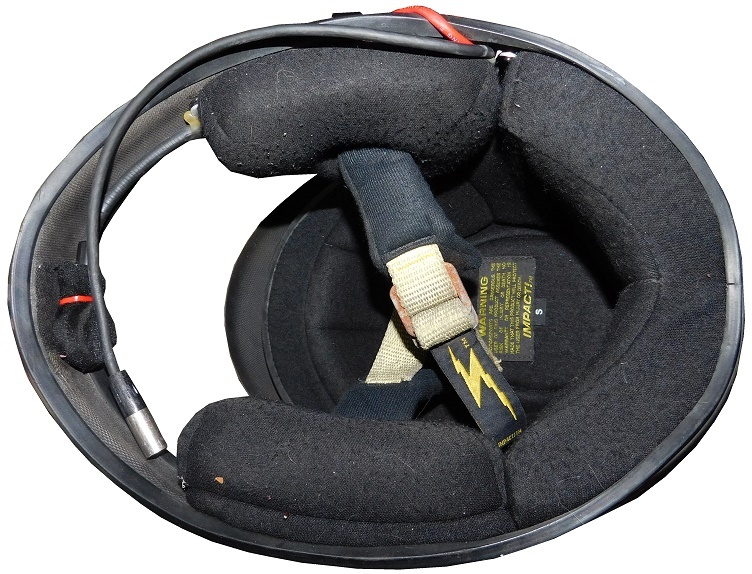 The interior of the helmet has an Impact warranty label, a small flag tag indicating the size as S, and the microphone equipment is still present. 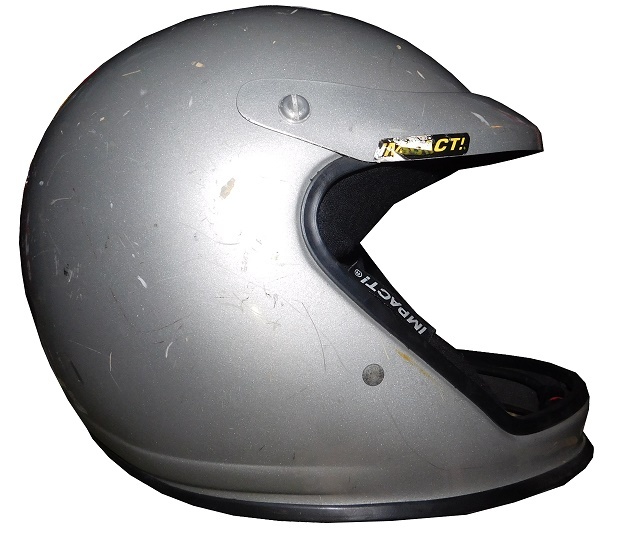 As popular as this type of helmet is, it’s not made by Impact anymore, and now has been replaced with a helmet that looks like a motorcross or BMX helmet. These have become the standard. It’s good to see that the pit crew helmet is evolving. As safety equipment evolves, it gets better. People love tailgating, cheese, and potatoes, so one thing to bring to a tailgating party would be Homemade Au Gratin Potatoes! It’s a bit complex, but it works very well. 3 medium russet potatoes, peeled and thinly sliced, about 3 cups. 3-Gradually stir in milk; cook and stir until thick and smooth. 4-Stir in cheese until melted. 5-Stir in onion, salt, garlic and butter. 6-Put potatoes in 2 1/2 quart baking dish or casserole. 8-Place in 400 degree preheated oven for 45-50 minutes. We’re going to keep the helmet theme going next week.